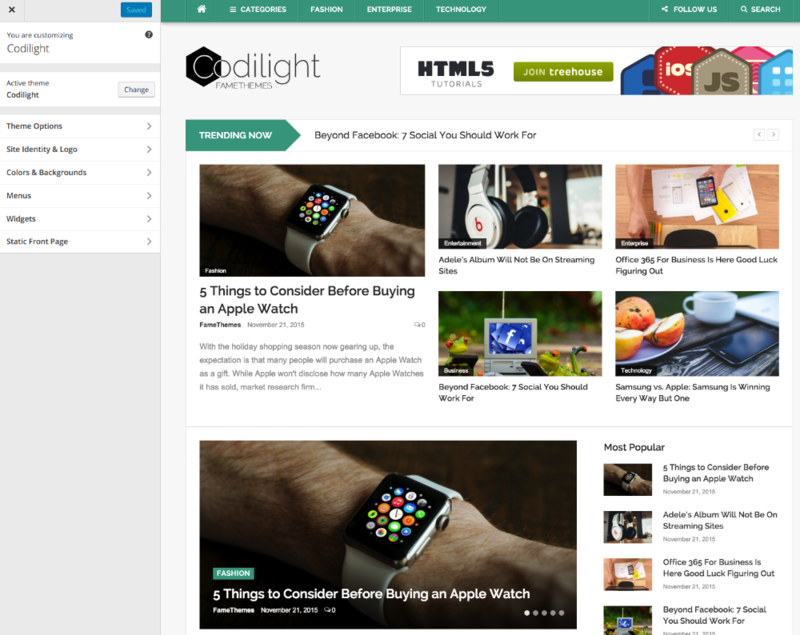 Codilight includes a widgetized homepage template with up to 6 regular widget locations where you can place WordPress widgets, custom widgets or any content you want. You can arrange the widgets on the front page as you like and create a unique and amazing magazine layout to present your content in an effective way. 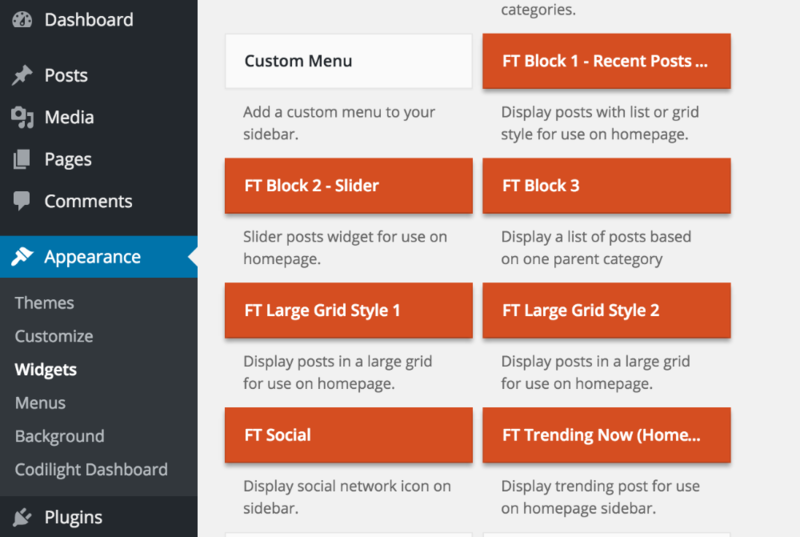 The Codilight theme comes with 7 custom widgets that can be used to configure how your site displays content – they can be found under Appearance > Widgets.